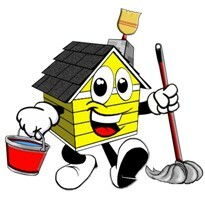 Everyone is welcome to join us to spruce-up for our guests who will be soon arriving. Come any time from 9:00 AM to 2:00 or so. 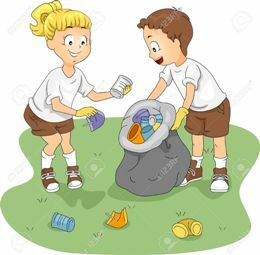 Bring cleaning supplies if you can. Our volunteers continue with restoration each Monday, April through October. Here, our old Corn Crib gets it's concrete foundation renewed. The roof is on !!! The old leaking shingles were removed, new plywood sheeting was laid down, and painted steel metal panels and trim installed. All was completed during the first week of November. This will keep the mill structure and milling machinery secure for a good long time - what a relief. Thank you to all who have generously donated. Also, Thank You to the Wabash County Community Foundation for a grant of $4,460 for the purchase of roofing materials. The Fish Ladder is in place, active, and being enjoyed by hundreds of fish. A fish bypass was installed at the Stockdale Mill Dam this summer. The first of its kind anywhere "fishway" is located outside the existing concrete south wing-wall of the dam. 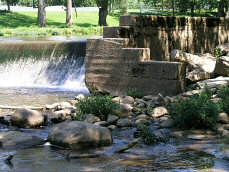 [dam buttress end opposite the mill] The innovative structure is the first of its kind installed anywhere in the U.S. The Stockdale Mill Foundation is partnering with the U.S. Fish & Wildlife Dept. and the Manchester University Environmental Sciences Program. The fishway includes electronic sensors to monitor fish migration up and down the Eel River. Manchester University will conduct ongoing research into fish behavior. Students from IU Kokomo class on Indiana History braved the cold on our last regular tour day of the season. 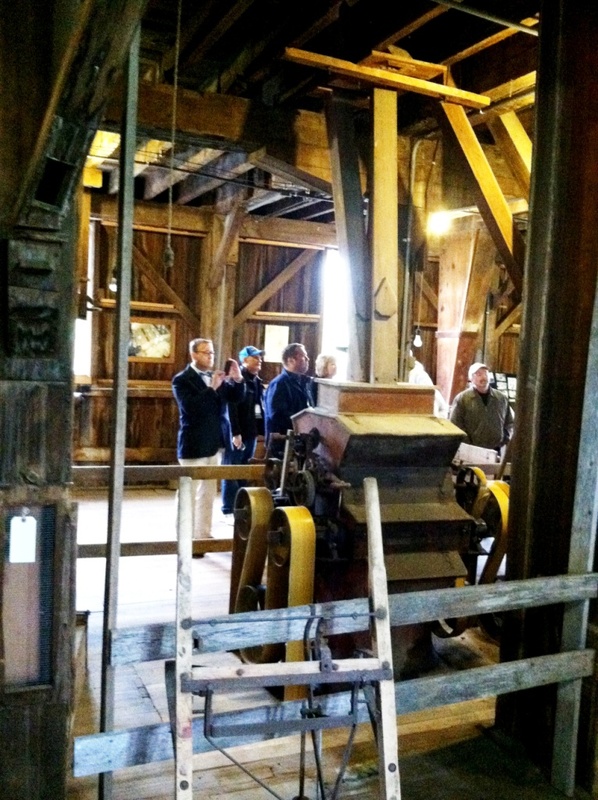 Indiana Landmarks preservation group toured the Stockdale Mill on April 27. Over 200 hardy members braved a cool wind to visit the mill followed by dinner on the Roann Covered Bridge. 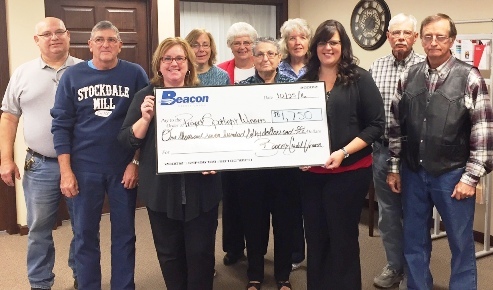 The Stockdale Mill Foundation received the 2nd place award from the Beacon Credit Union "Project Spotlight". Pictured with other winners is Ron McColley acceptng the prize on behalf of the Mill. THANK YOU to Beacon Credit Union an to all who voted!